Our apartment is filled with the delicious smells of roasting turkey, herb stuffing and pumpkin cheesecake, prepared while snowflakes flutter gently down outside the window. In between cooking we sip jasmine tea and eat mandarin oranges. 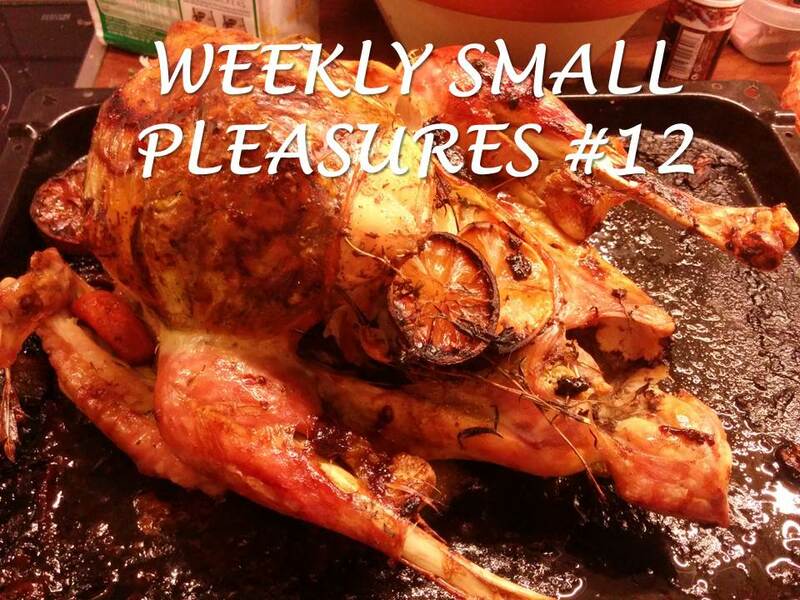 Our friend is visiting so that we can prepare some food together for a Thanksgiving-inspired potluck we’ve been invited to for dinner. 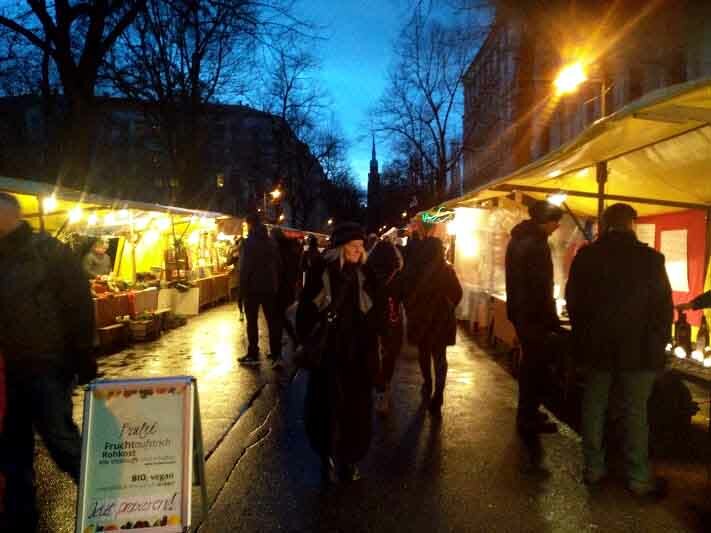 Winter has (unofficially) reached Berlin, but that doesn’t mean there are no small pleasures! Our relaxing Saturday cooking for the potluck. A potluck is a party where everyone brings one dish and you enjoy them all together. Although winter only begins officially around the 21st December, winter-style weather has reached Berlin and once the leaves are all gone and it gets dark so early, I consider it winter! 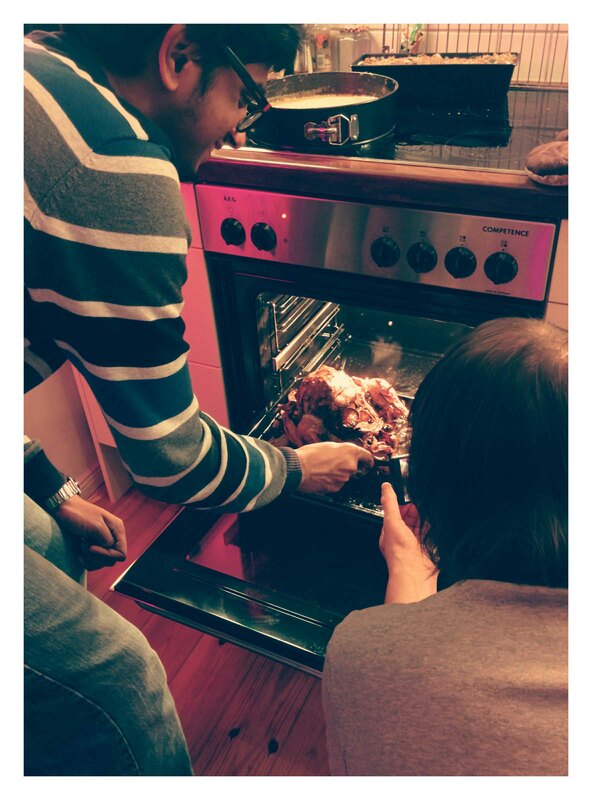 These are the perfect days to spend inside a cosy apartment cooking and spending time with friends. The potluck itself was great fun and we had a feast of turkey, goose, pumpkin soup, herb stuffing, vegetables and dip, salad, macaroni cheese, chocolate brownies, pumpkin pie, gluhwein and more. Christmas markets and Christmas decorations have come to Berlin. 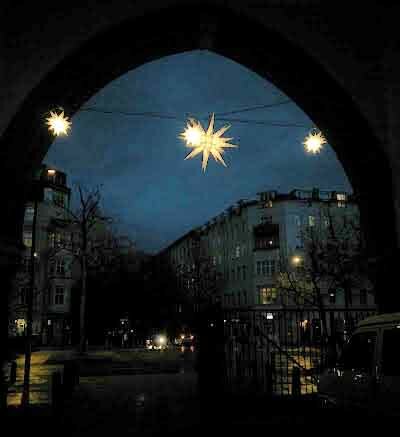 Today was the first advent, i.e. the first of the four Sundays before Christmas. 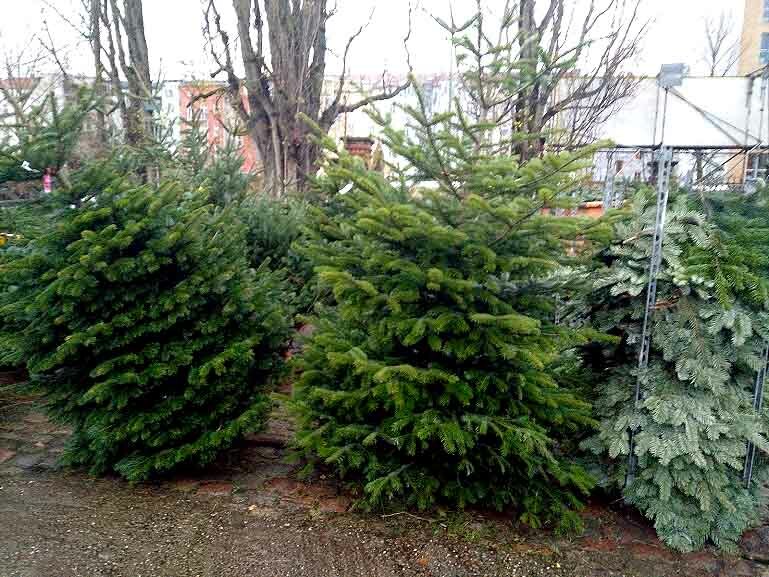 During the last week, Christmas trees decorated with twinkling lights have started popping up all over Berlin, and the Christmas markets have opened. 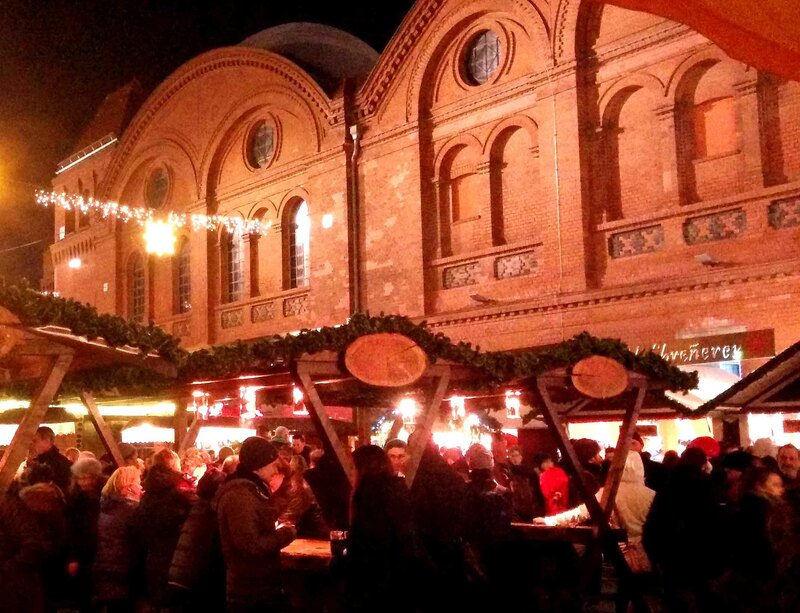 We visited the Kulturbrauerei market on Friday evening just to walk around, soak up the atmosphere, and look at the stalls with their different foods, Christmas drinks, decorations and gifts. 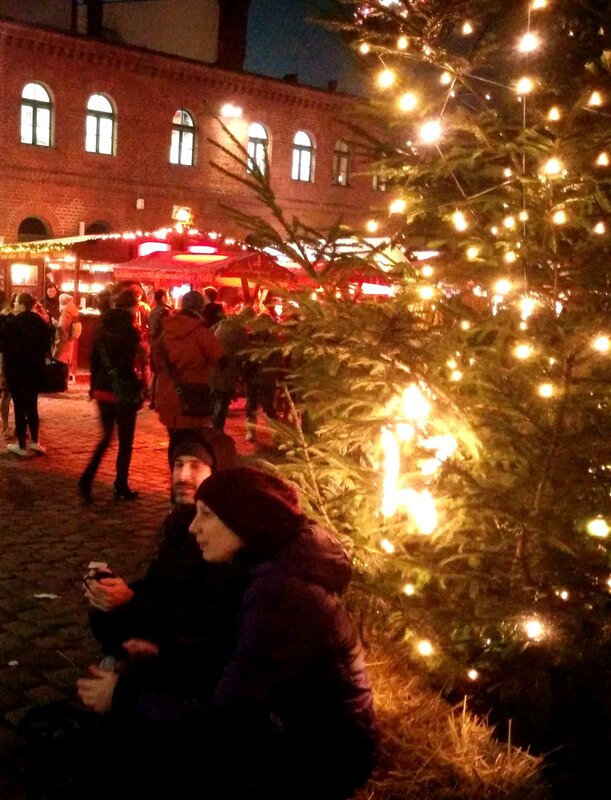 The specialty of the Kulturbrauerei Christmas market is that they have Christmas drinks from Nordic countries such as Sweden, Iceland, Finland and Norway (amongst other things). So instead of the usual gluhwein we tried an Icelandic drink called “jólaglögg”, just means “Christmas drink”. The one we tried was a kind of gluhbier”, made from hot beer, rum and spices. It was interesting to try it although I still prefer the wine version. A quieter working week. The last few weeks were extremely busy at work, so it was good to have a more relaxed pace this week. Nice surprises from a colleague. I have an officemate from China who has only three weeks left in Berlin. He has a sunny, friendly personality and we will definitely all miss him when he’s gone. In anticipation of his leaving, he gave me and other officemates some lovely gifts from China, which was a complete surprise. I must find some nice Berlin souvenir for him before he leaves! Let’s see what surprises the next week brings! Your feast looks incredible! And visiting Christmas markets in Germany is one of my dreams! I love this time of year. Thanks for sharing this week and have a really nice new week. Thanks! I love the Christmas markets here, hope you will get to visit them one day! Have a great week too. We had planned to got to the Christmas markets in Germany this year, but other things have changed our plans, unfortunately. We hadn’t decided on whether we would tour round a few of them or just go to Cologne. Next year, we’ll definitely do one or the other. We have a German-styled one in Lincoln, near to where Iwe live. Unlike most German markets, it’s just on for one weekend – always the first weekend in December. So next weekend, that’s where we’ll be going. That’s great, hope you make it next year! I hear the one in Nuremberg is really good too, and Dresden. I hope you enjoy the one in Lincoln next week, will look out for some pics on that! 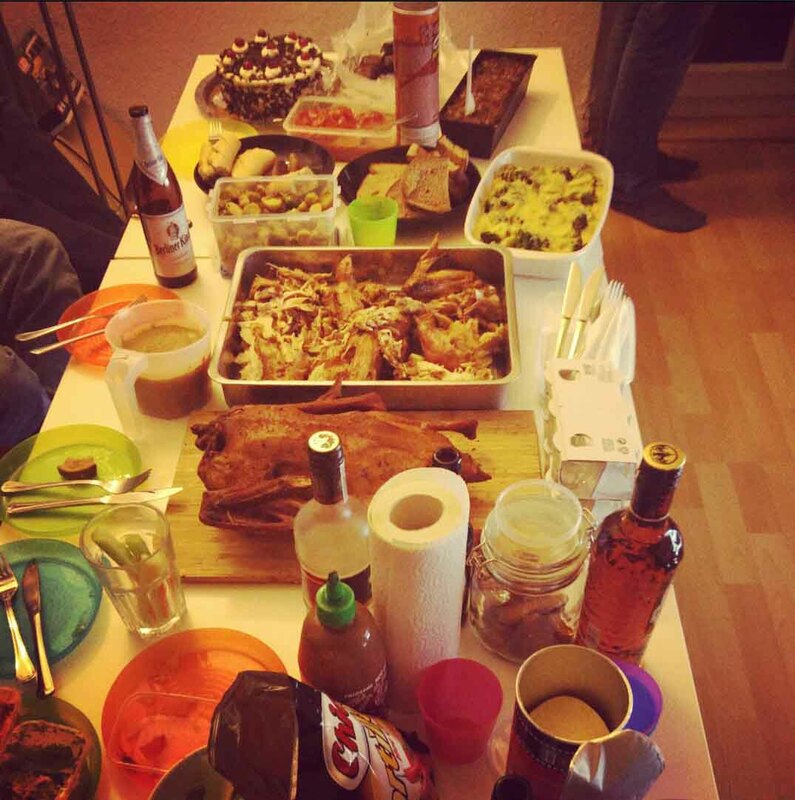 In Germany they don’t actually celebrate Thanksgiving, but a New Zealand friend of ours hosted a party (he invited some American friends and others from various countries). Actually, Thanksgiving is celebrated in Germany although not as extensively as in the US and it is not an official holiday. It is mainly a church event when the church is decorated with grain, vegetables and fruit. It is also more important in agricultural areas. Called Erntedankfest it was on 4 October this year. Such a fun post! 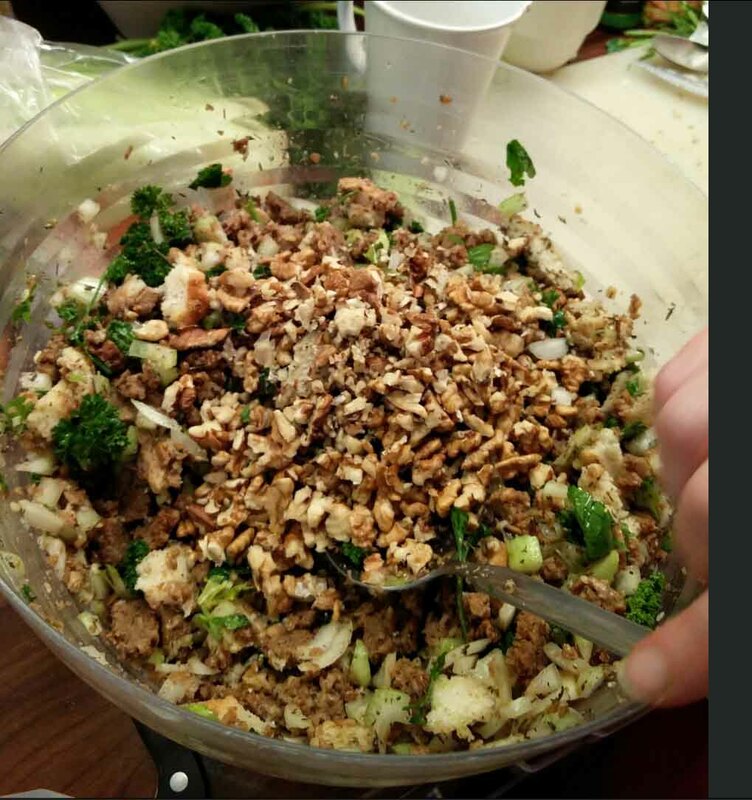 That potluck dinner looked delicious. And I have read so much about German Christmas Markets and I’ve always wanted to visit one…but in the meantime, I enjoyed seeing your photos and hearing about your experiences!